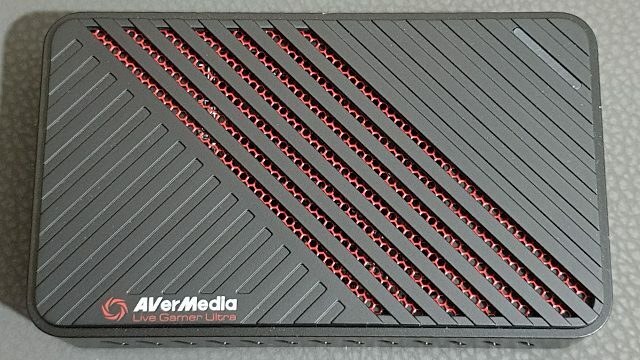 I started this Avermedia Live Gamer Ultra review eager and driven by the possibility of capturing 4K HDR footage, with few compromises, via an external device. The promise of up to 4K 30 FPS HDR capture (or 1080p 60 FPS HDR capture), while still passing through a 4K 60 FPS HDR signal, sounded perfect for the current generation of consoles and televisions. What’s more, as an external device, it is capable of working with laptops, support for which the internal Live Gamer 4K lacks. After testing the Live Gamer Ultra across a number of systems, for both recording and livestreaming, I’m ready to give my verdict. Avermedia Live Gamer Ultra Review | USB 3.1 Type-C hype! 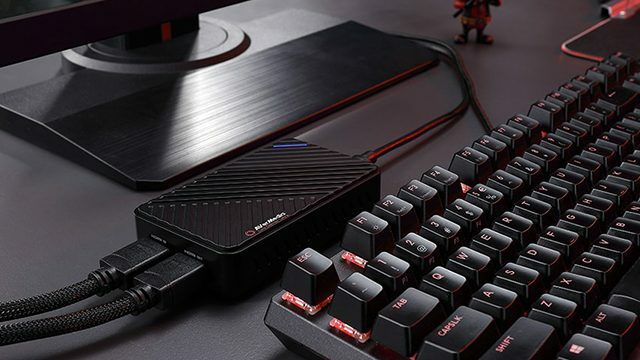 Utilizing a USB 3.1 Type-C connection, the Avermedia Live Gamer Ultra is able to go beyond the limits of older external devices. 4K is now within reach, though it is limited to just 30 FPS (with 60 FPS pass-through). If frame-rate is the priority over resolution, then it’s possible to drop down to 1080p 60 FPS and still record HDR. And, when HDR is no concern, that 1080p can be pushed to 120 FPS capture, which is useful for extreme slow motion or video hosting sites that support such high frame-rates. 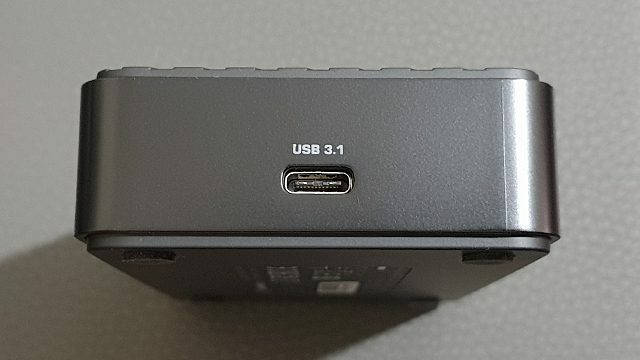 While high FPS support is great to see, it’s important to note that the Live Gamer Ultra port selection only boasts HDMI (2.0) In and Out, as well as a USB 3.1 in for power and data transfer, but no DisplayPort or additional Audio In. What’s the price of entry for this type of top-end capture device, then? Well, the RRP is $249.99, but Amazon.com has been selling it for $199.99. 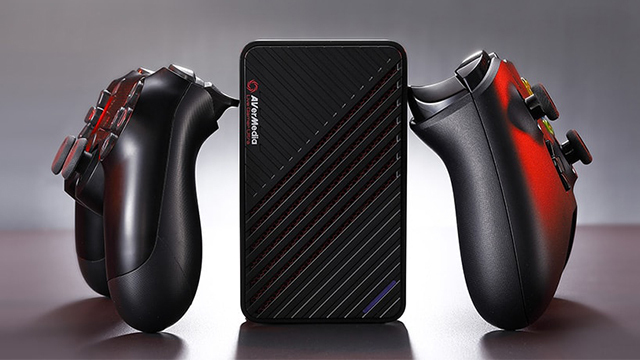 For anyone who needs 4K HDR capture, or high frame-rate support, all inside an external device, the Live Gamer Ultra really is the only option. Considering the lack of competition with this set of features, I think the price is right. 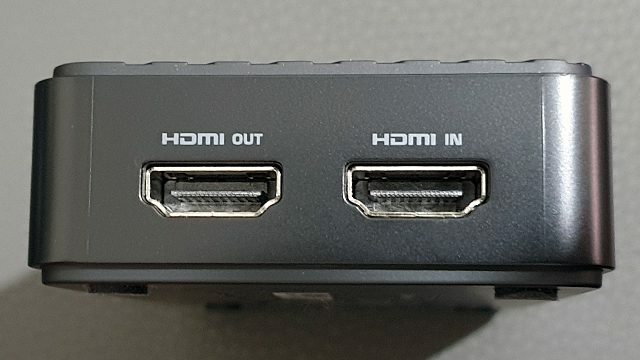 Inside the box, users will find: the Live Gamer Ultra device, which is nice and compact; a USB cable, for power and data; a single HDMI cable, a second of which the user will need to provide to use the HDMI Out; and also a manual, with further help available online. In addition to these mandatory inclusions, a CyberLink PowerDirector 15 software trial is included, though I, once again, found this to be lackluster in terms of smooth video playback and HDR support. If you’re serious about editing the video you capture with this device, Adobe’s software suite is worth looking into, happily accepting HDR high bitrate files. When checking available bitrate targets, the device defaults to 150 Mbps for 4K 60 FPS HDR capture. This can be pushed even further, but I used 80 Mbps to keep within YouTube’s own recommended settings. Like with the internal Live Gamer 4K I tested before, the Ultra’s recording quality is top-tier and flawless to my eyes. Despite living on the outside of the PC as an external device, the Ultra goes toe-to-toe with the Live Gamer 4K and its peers. There is one downside to the Ultra, however, when compared to the super-fast internal Live Gamer 4K, and that’s when it comes to capturing 4K 60 FPS. Put simply: It just can’t be done. Thankfully, Avermedia is clear about the limits of the Ultra on the device’s packaging and the official website. The very best-looking 4K games on console are largely locked at 30 FPS, and so the Live Gamer Ultra’s limitations become negligible. For example, Marvel’s Spider-Man (gameplay of which can be found above) is played at upscaled 4K 30 FPS, with the recorded footage perfectly mimicking how the game was experienced (albeit with YouTube’s sometimes harsh compression). The flexibility of being able to enjoy 4K 60 FPS HDR content while downscaling to 1080p 60 FPS HDR capture for YouTube, is great to see, as a common method of pushing quality to the maximum on this specific platform, is to upscale 1080p content to 4K in order to force the site to assign a higher bitrate. Therefore, 1080p 60 FPS HDR video can be rendered at 4K 60 FPS HDR and then uploaded to YouTube. At the time of writing, native 4K 60 FPS HDR and upscaled 4K 60 FPS HDR is almost indiscernible when in motion. This is perhaps a niche use case, but I feel it’s worth knowing for those who have found this review. Playing games while capturing gameplay results in no perceptible latency on the monitor using the HDMI Out. As for the game capture preview inside the PC software (via HDMI In), I deemed it “good enough,” though I would only use it for slower, more casual games. Otherwise, stick to the fantastic dedicated TV/monitor output. Avermedia’s provided software, RECentral 4, continues to impress. While previous versions left a lot to be desired, this iteration really does enhance the hardware with easy-to-use features that will help users get the best out of their shiny new product. 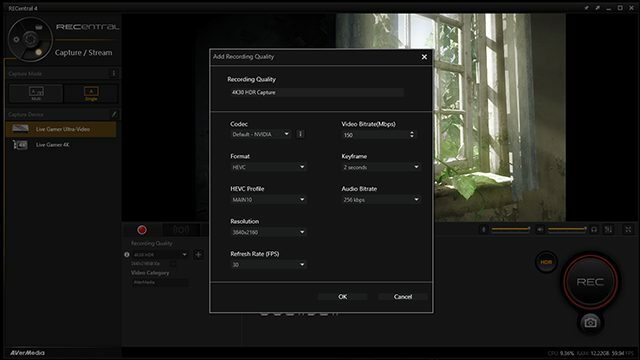 No longer is OBS an immediate go-to — though it is, of course, still an option when HDR capture isn’t required — as the headaches of the past are no more. Having now used the software for over six months, and not experiencing a single crash or failed recording, I have zero major complaints here. RECentral allows for streaming at a low bitrate, while simultaneously capturing at a high bitrate, making it ideal for those wanting to stream, but also potentially use the footage for high-quality highlights or gameplay commentaries. 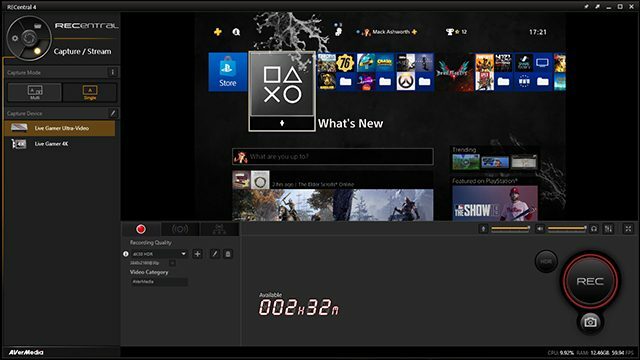 Streamers will also be fond of the built-in support for livestreaming to multiple platforms. What’s more, there are other basic tools allowing for editing scenes, mixing audio, and also the basic cutting of recorded sessions. And finally, should you face any problems when trying to use your Live Gamer Ultra on a new system, perhaps at an event, you can quickly troubleshoot the issue with the Performance Test feature, which measures the transfer speed from the device to the connected computer, giving a quick rundown of what resolutions and frame-rates are available. This can be very useful in a pinch, where setup time is the priority. The subtle indicator lighting also relays the status at a glance, making it easy to know whether or not you are recording. One big improvement I’d like to see in RECentral is flashback recording from a buffer. I know that Live Editing allows for quick cuts to stop hard drives getting bogged down in gigabytes of useless footage, but the ability to be constantly recording and then say “I want the last five minutes to be captured” would be huge. While you can do this through OBS’ Replay Buffer, it’d be nice to see it officially supported in the first-party app. The Avermedia Live Gamer Ultra is a brilliant product. At an inoffensive price point, enthusiast or professional content creators can capture incredible 4K HDR footage from a portable, laptop-friendly device. If the Live Gamer 4K isn’t an option for you, due to budget or your lack of a large PC, then the Ultra is the next best thing, and the perfect companion for the current generation of consoles. Avermedia really is on a roll with its gameplay capture hardware, pushing the envelope for what is possible and, thankfully, the company isn’t charging a fortune for its exclusive features. Live Gamer Ultra review unit was provided by Avermedia.